As you may have noticed, we have not used this site very much this year, even though our annual festivities have begun over at Deadspin. 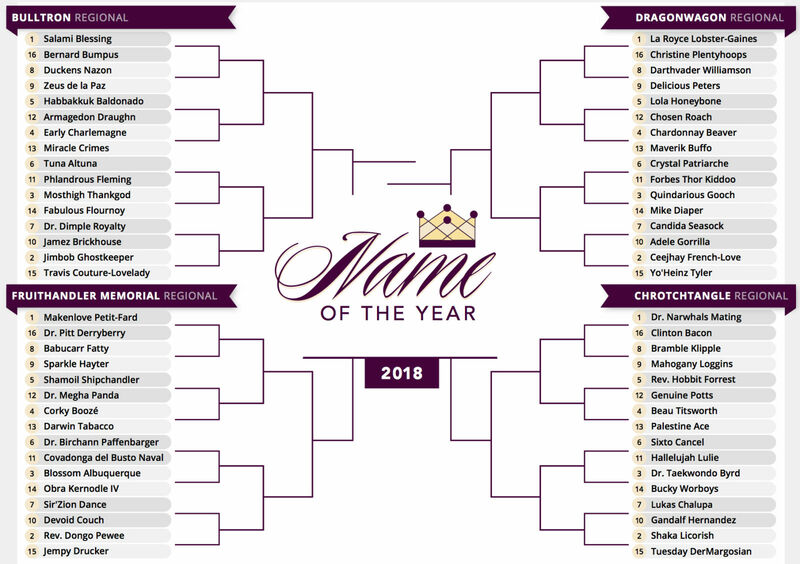 If you're just checking in for the first time, there's still plenty of opportunities to help us choose the 2019 Name of the Year. The first half of the second round is open right now. Go forth and check out the polls. The reason why we're distributing via Deadspin rather than over here is that the Blogger platform on which this website is built is badly outdated and incompatible with many modern design formats, which makes the process of gathering research, posting polls, and including images unnecessarily difficult. We're in the progress of transferring over to a new platform and are still looking for anyone who may want to help us with that transfer. 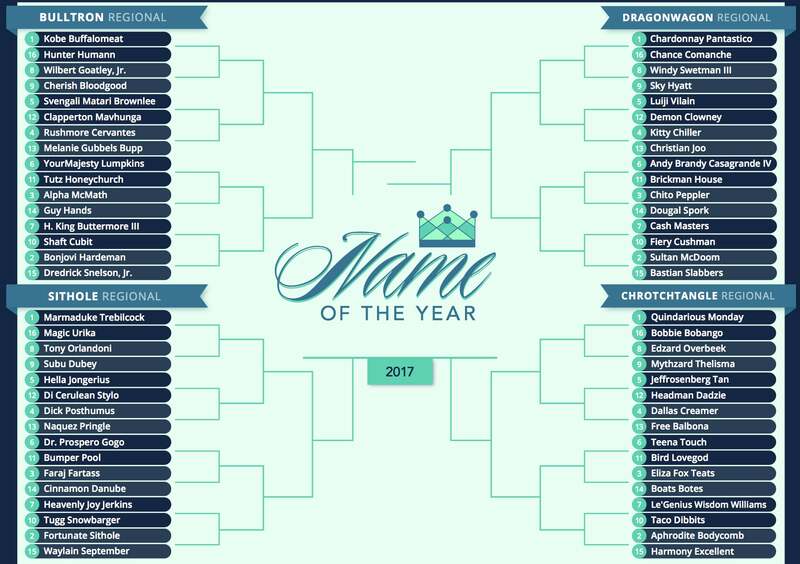 If you are, email us at nameoftheyear@gmail.com and we may contact you after the business of deciding the 2019 Name of the Year is complete. 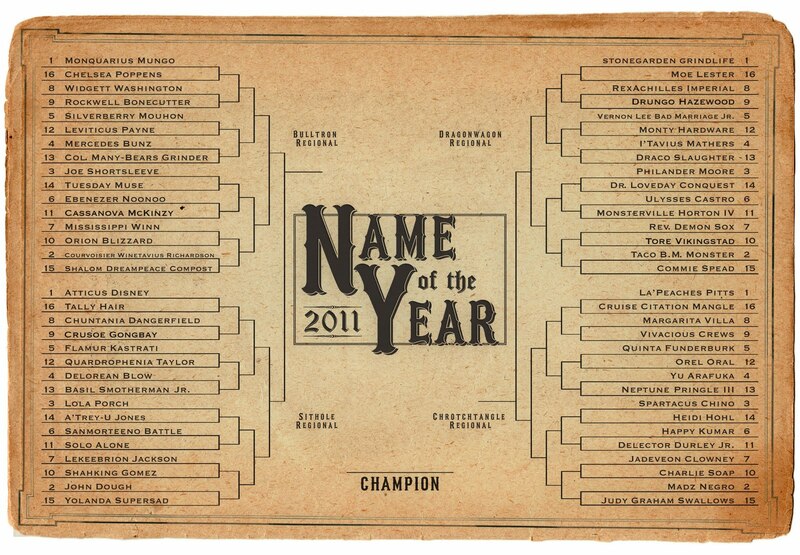 In the meantime, expect all of this year's polls and posts to be published via Deadspin. 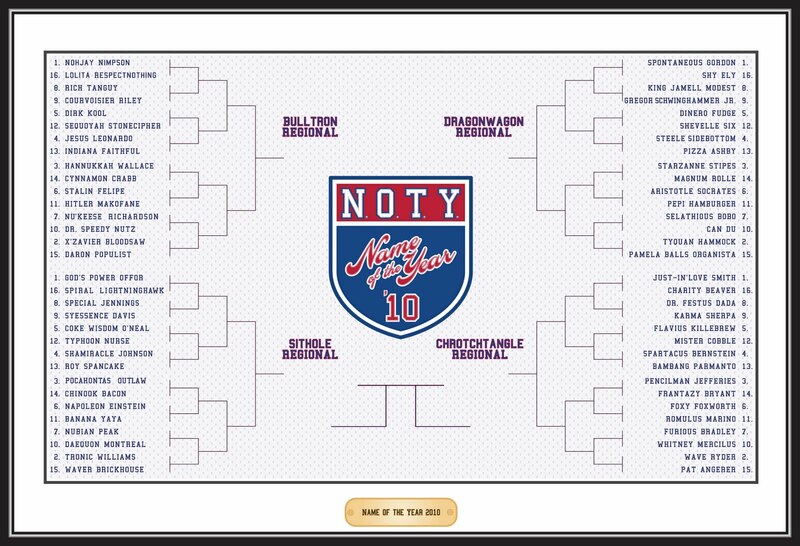 The first of the two links included above will update as the rounds progress. And of course you can follow us on Twitter for updates. We apologize for the inconvenience that we may have caused within your RSS readers.